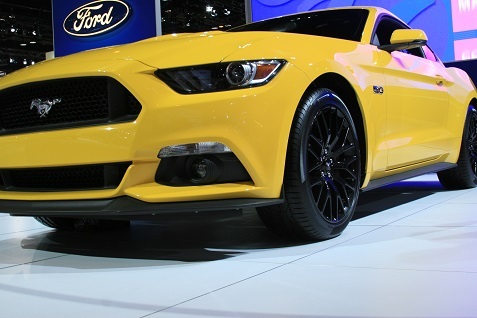 I wasn’t really blown away when Ford revealed the 50th anniversary Mustang with a complete redesign. Sure, moving away from the retro design was a huge challenge, but the new look didn’t really grab me at first when I saw the photos. I have to admit, however, that I like it much more having seen it in person at the 2014 Chicago Auto Show. The fastback, in particular, jumps out right away. And while I can’t get too excited about the new headlights, they do fit the new, more aerodynmaic design. Still, I would have preferred that the headlamps sloped down at the far edges instead of flaring up. That might have made the new design perfect, but overall, it looks like the Ford team was able to meet some pretty high expectations.